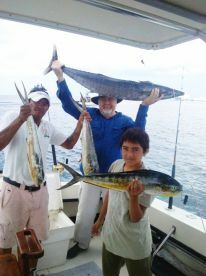 Cozumel means “land of great fly fishing” in Mayan. Well, it doesn’t, but it really, really should. The island has mile after mile of shallow lagoons to the north, and deep blue waters just a couple of miles to the west. You could spend your whole life here and never get bored of its incredible fishing grounds. 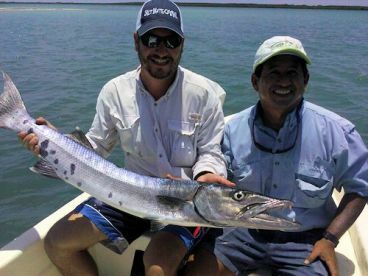 The range of species you can target while fly fishing Cozumel is simply staggering. Bonefish, Tarpon, Permit, Snook, Jack Crevalle, and Barracuda all swarm the island's secluded flats. 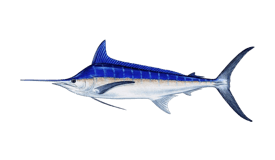 Head offshore, and you get slammed with hit after hit of monster Sailfish, Mahi Mahi, Tuna, and Marlin. If Mother Nature missed any fish off the list, she promises to have the overnighted in. Wander north from town, and within a mile or two you hit calm, shallow lagoons full of every inshore gamefish in the Caribbean. This is a permanent fishery, too, with five-star fishing 365 days of the year. 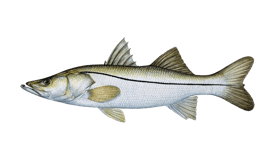 What you will find, especially in the winter high season, is that these beautiful bays are as full of people as they are of fish. 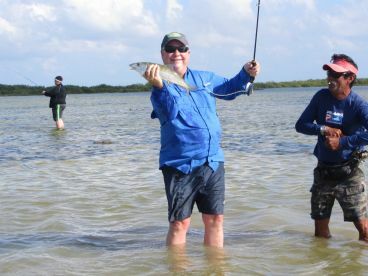 Charter a local fly fishing guide to get to the more remote spots and battle every fish on the IGFA’s inshore hit list… and a few more, just for good measure. So Tarpon just aren’t big enough for you? Maybe Bonefish don’t fight quite as hard as you’d like? Well, you’re in luck. 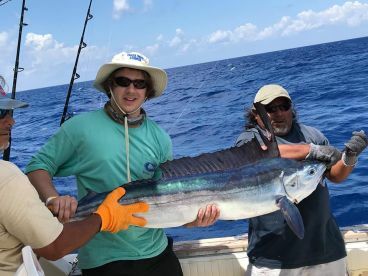 The deep blue waters offshore are full of Sailfish, Blue and White Marlin, Blackfin Tuna, Mahi Mahi – all your big game fly fishing favorites. 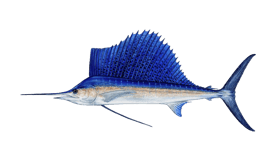 You can find Marlin just a couple of miles from town here, and the packs of Sailfish some of the meanest around. What’s more, they say you can target Billfish every day of the year in these deep, protected waters. You’re going to hate boarding the plane back home! There are so many species to choose from, you’d need an entire suitcase just to stuff your tackle into. Luckily, there are several fly fishing specialists operating in the area who stock quality equipment. Out on the flats, you could be using anything from a 6-weight to a 10-weight, depending on what you’re after. Weight-forward floating line gives you longer casts, with 10-20-pound class tippets and beefier shock tippets for big brutes like Tarpon and Barracuda. Crazy Charlies and Gotchas are popular flies for Bonefish, but you’ll have a variety to match your target species. Head to deeper water, and things really get kicked up a notch. 14, 16, or even 18-weight rods, heavy-duty sinking line, double-hooked big game flies - you need to come armed for anything when you step into these big game battlegrounds. 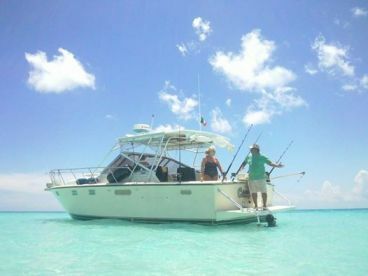 Most Cozumel fly fishing charters provide licenses and all the equipment for your trip. 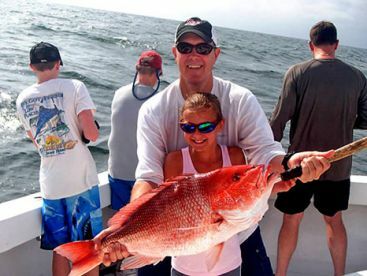 If you’re heading out on your own, you need to buy a Mexican sportfishing license, which costs around $25 for a week. You can send off for these by mail or get them in person from one of their offices. 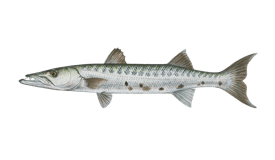 For more information, see the Mexican Fish & Wildlife Commission’s website.